On These I Stand features a sampling of books and other materials dating from the late nineteenth century through the Harlem Renaissance, Black Arts Movement, and Hip Hop. Selections from the F.W. 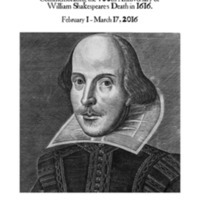 Olin Library's Special Collections commemorating the 400th anniversary of William Shakespeare's death in 1616. 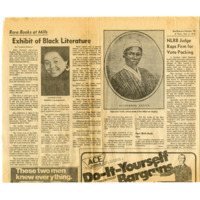 On exhibit in the F.W. Olin Library at Mills College from February 1 through March 17, 2016.